With summer vacation staring me in the face, I choose now to make some personal changes: 30 days of mom goals. I hope my children and I will benefit from the process. My daughter just graduated pre-K. She has 88 days of summer break. Yes, I counted. Sure, there’s a few weeks of camp thrown in but a quarter of a year together without complete structure may possibly break me. My kids are 5 and 7. They play together. They fight. My daughter idolizes my son. My daughter hits my son. My son teases my daughter. They wake up way too early and go to bed too late. They watch TV. They melt-down. They like to help me. They get bored helping me. They make huge messes and are “too tired” to clean. I reward chart. I bribe. I threaten. I doubt. I praise. I chuckle at the adorable things they say. I yell. My blood boils. I am overly excited for bedtime. I lay down with them and read them stories. I come back for more hugs and kisses. I vow to do it better the next day. So, this challenge is created with my own sanity in mind. I love a challenge. So, game on! Here’s how it works. Every day, I will post a challenge to myself (and to you if you partake). If you have a suggestion, I may add it to the challenge. After all, this is a work in progress, as are we, as moms. So, here it is Day 1 of the Challenge. . .
As a new mom, you think, of course, I’d play with my child every day. What mom doesn’t play with her child every day? The mom who works, the mom who feels anxious while looking around her messy house, the mom who finally sits, turns the TV on and checks her Facebook while her children play on the iPad, the mom who is too tired to play, or the mom who doesn’t want to pretend eat fake food for another meal served by an adorable chef from a plastic kitchen. If you can play with your child for this amount of time every day, kudos to you. If you can do it only once this week, that’s great too. So, today, I promise, I will play with my children for 30 minutes. They will choose what we play. I will not suggest something else. I will not look at my phone. I will not get up to fold laundry. I will not focus on the mess. I will sit and play and pretend I am a kid again. 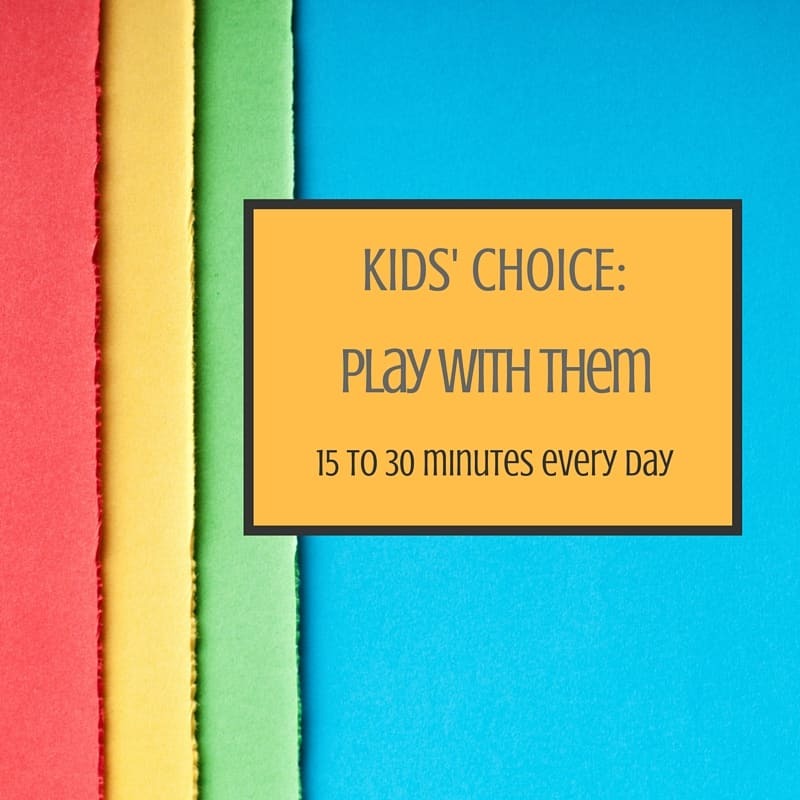 This may not seem like a lot of time playing, but how many days are you really sitting uninterruptedly, entirely focusing on engaging with your child? Tomorrow, I report back to you and offer up another challenge. I hope you do the same. Somehow, I think you’re up for that challenge. Btw I think every mom should try to carve out 15-30 min for themselves each day. Whether it means having coffee, going for a walk, reading a book, having a phone call with a friend, taking a nap etc, those 15-30 min will make the day better. Often moms are so busy running around and put themselves last. If moms can take 15-30 minutes for themselves it will make them happier, saner, and a better mom. We all feel better after a manicure. As far as the challenge I left my phone inside and went outside with my kids for almost an hour. It led to great conversation with the 12 year old and play date requests from the 7 year old. Awesome. New challenge coming today.